This past week, Phillips House was honored with the High Commendation in the Future Healthcare category at the European Healthcare Design Awards. 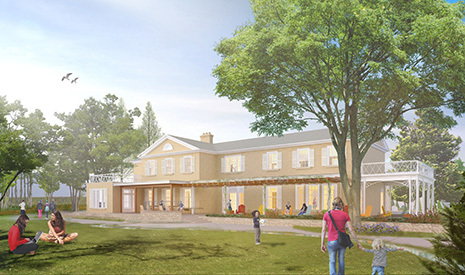 The project will see a historic estate transformed into an outpatient mental health care facility for children, youth and young women. Phillips House is the first of its kind in Canada. It is exemplary of best practice in the design of modern, therapeutic environments, effectively providing for the complex requirements of clinical care in a home-like, non-institutional treatment milieu. Montgomery Sisam’s design concept, ‘A House and Garden for Healing’ focuses on a patient-centred solution that speaks to the role of design in removing barriers to care and in supporting mental wellness.